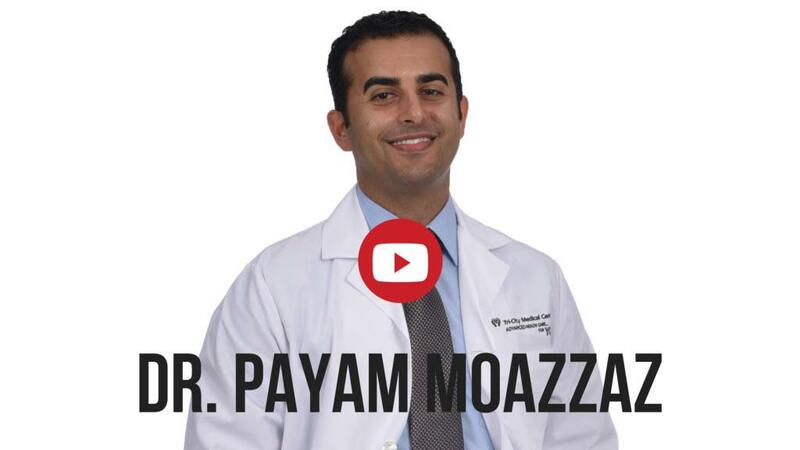 Dr. Payam Moazzaz is San Diego spine surgeon affiliated with multiple orthopedic facilities in the area, including Scripps Memorial Hospital Encinitas, Tri-City Medical Center San Diego, Carlsbad Surgery Center, Paradise Valley Hospital, Coastal Medical Group, and Surgery Center of San Diego. Dr. Payam Moazzaz is a San Diego spine surgeon who applies a decade's worth of accumulated physician and surgery experience to the diagnosis & treatment of a vast variety of complex spine disorders. Through noninvasive therapies, minimally invasive procedures & advanced robotic orthopedic surgeries, patients garner a welcome release from the pain that hinders their lives; while all the while regaining the mobility and functionality that allows them to make those lives happy, active and successful. Here you can learn about the various spine conditions that might be causing your pain and stiffness; disorders that include Spinal Cord Tumors, Spinal Infections, Spinal Deformities, Spinal Instability, and others. Through the information found on this website and through personal consultations with the doctor himself, you will learn about the causes of these conditions; their symptoms, and all of the possible ways that they can be alleviated and cured. And as you explore each possible course of treatment–whether it takes the form of medication, massage, physical therapy, a specialty procedure (such as injections or implants) or a minimally invasive procedure, you will learn about the risks, side effects, and short and long-term effects of each treatment mode. Explore the possibilities with California best spine surgeon today, and start a promising and productive new life; one lived free of back pain.